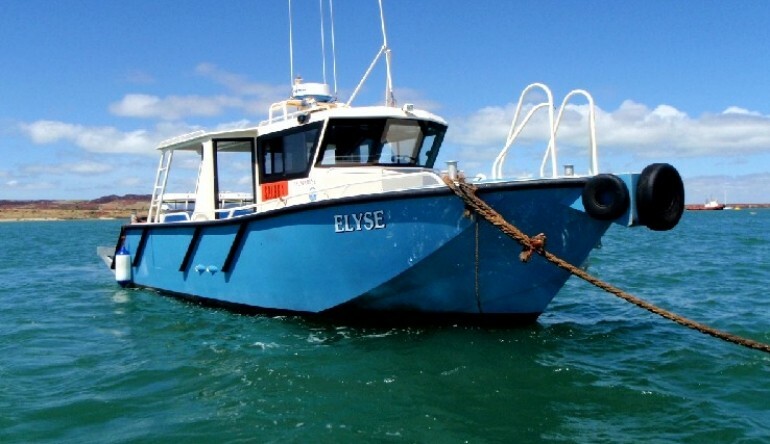 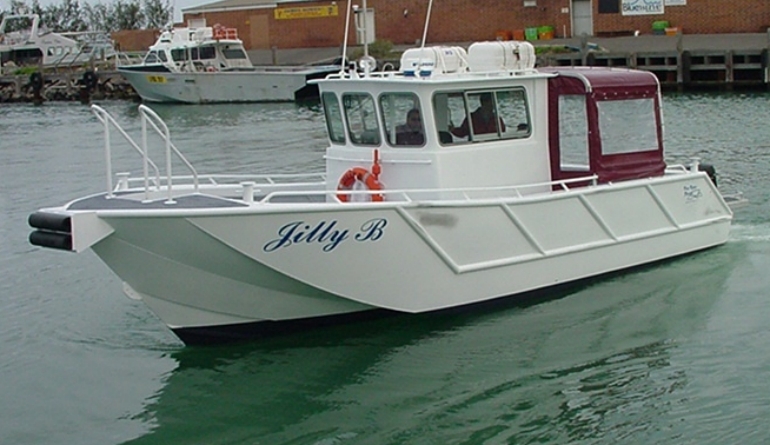 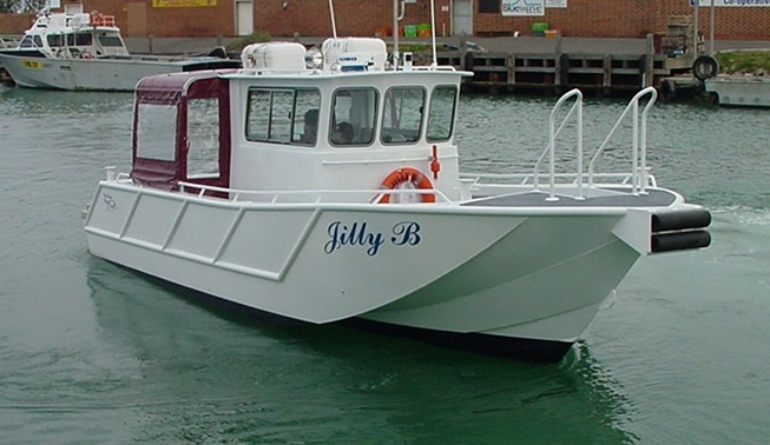 The forerunner to the Elyse was the very efficient and of course successful “Jilly B”, followed by “Mystery”, then “Elyse” and in 2014 the “TAMS Passage”. 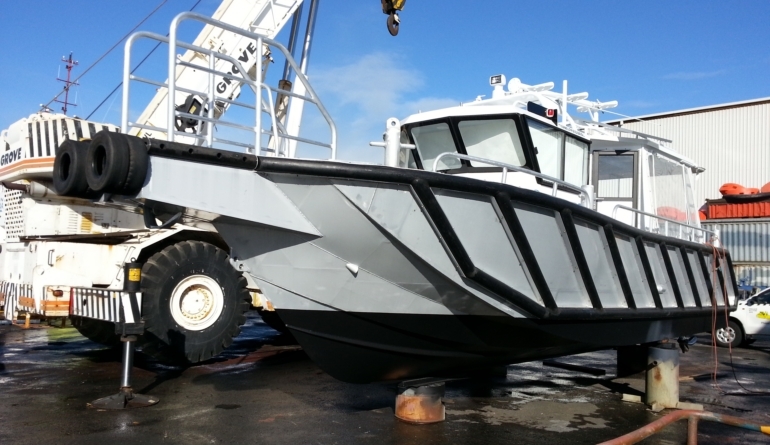 Designed for Dal Board’s DALMARINE Pty Ltd as a crew transfer vessel, this highly reliable crew transfer ute sits proudly in the Bhagwan Marine fleet. 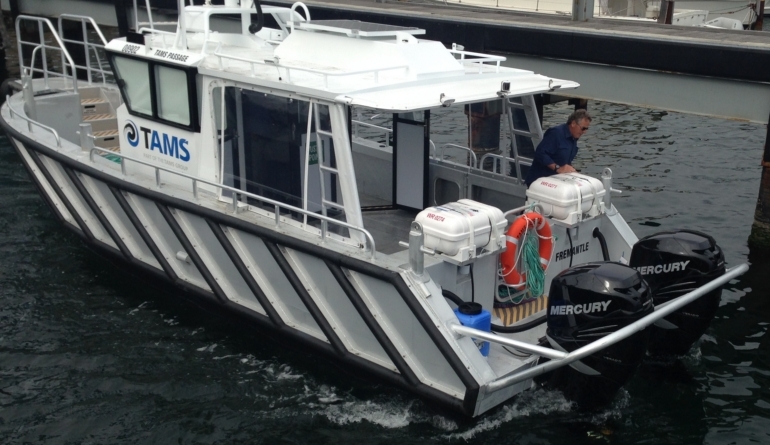 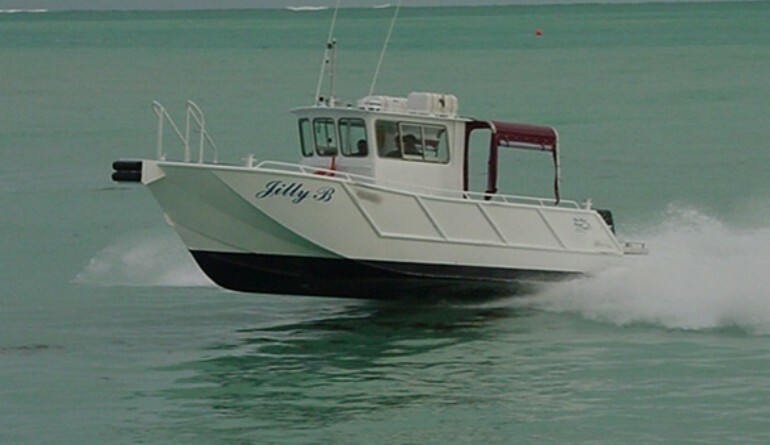 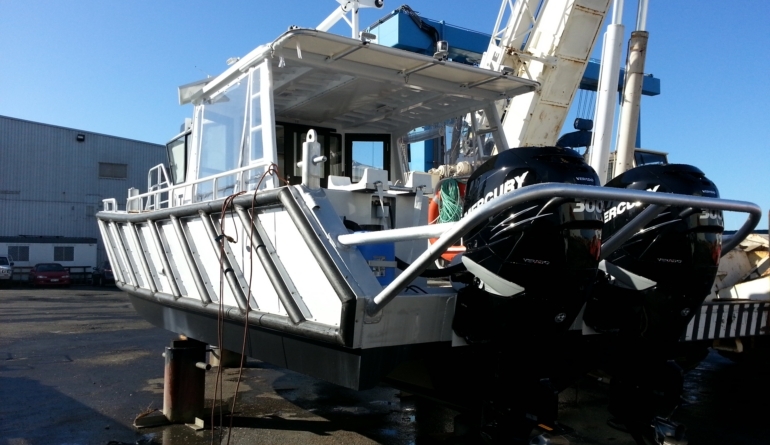 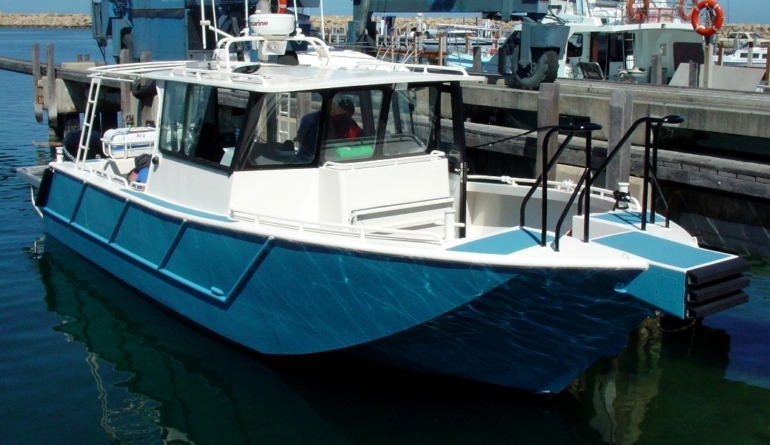 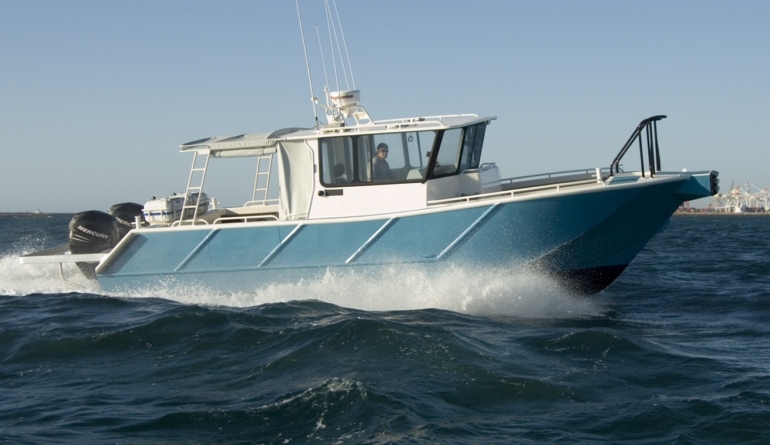 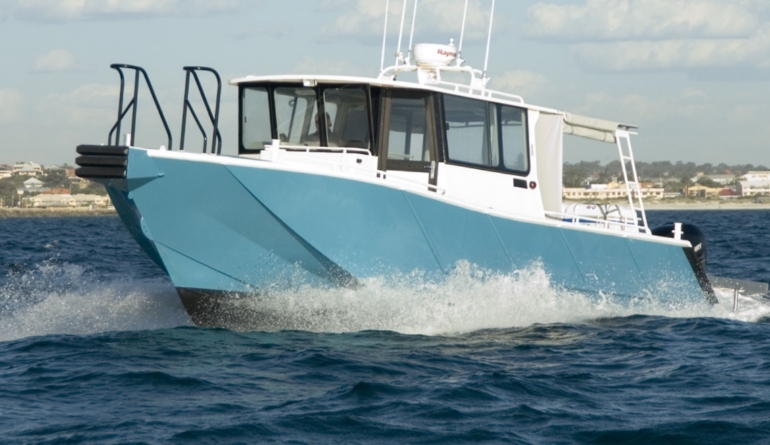 Fitted with twin 300 HP outboards and a top speed of 48 knots, it sure gets the crew to work on time. 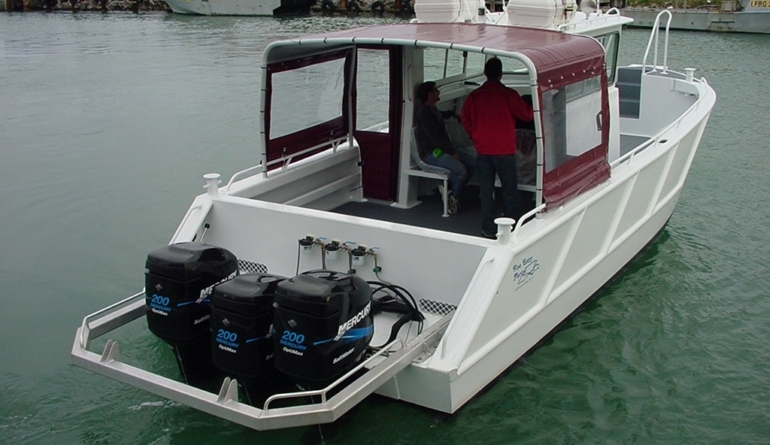 The kit structure is pre approved to NSCV 2C for 10+2. 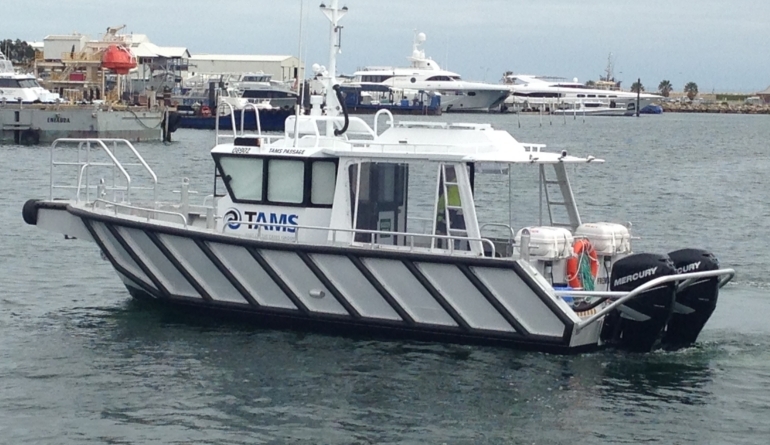 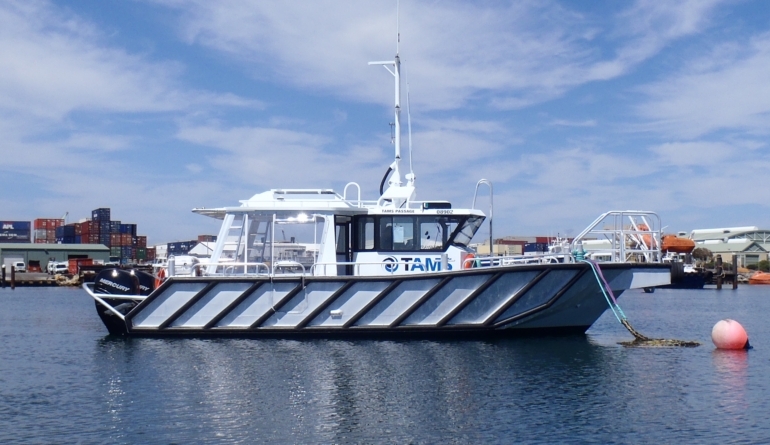 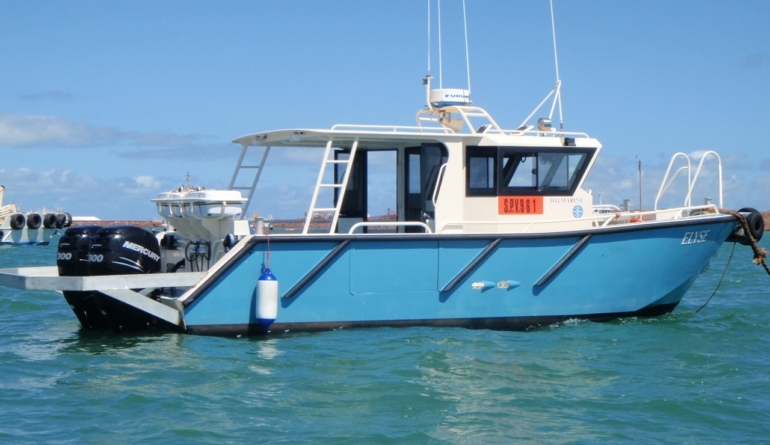 Applicable to the diving industry and all forms of patrol boat application for coastal and river surveillance.